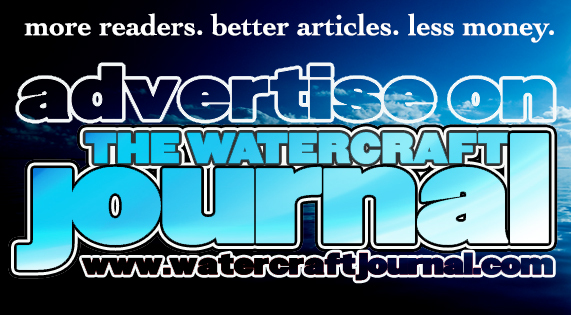 Video: RC Ski Allows For Driverless Wakeboarding Behind PWC | The Watercraft Journal | the best resource for JetSki, WaveRunner, and SeaDoo enthusiasts and most popular Personal WaterCraft site in the world! Wakeboarding and skating behind personal watercraft is a load of fun. Besides the ease of getting around on a watercraft, popping up behind a PWC is typically just as easy. 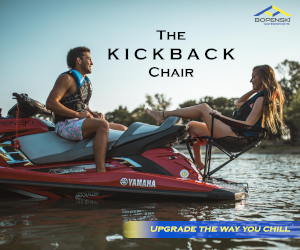 Vehicle’s like Sea-Doo’s Wake 155 and 215 almost improve the experience by including a collapsible wake tower on the transom and a gunwale-mounted rack for your board. So how could boarding behind a PWC be any better? How about you get rid of the driver? 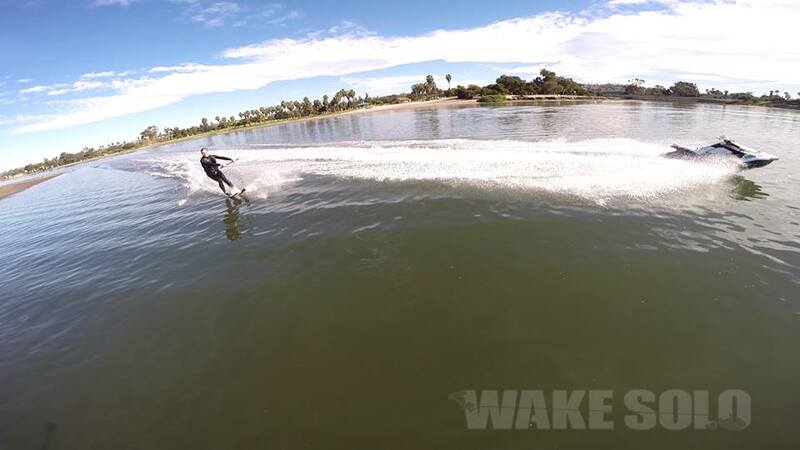 Wake Solo’s president Justin Merrill is proud to announce that San Diego Wake Solo Inc, has filed a patent for its product that allows one to Wakeboard behind a Jet Ski (Personal Water Craft or PWC) without a driver. Towed Water, Sports such as wake boarding, water skiing, knee-boarding, wake skating, hydro-foil skiing and tubing, are very popular using Jet Ski’s, Sea Doo’s and Wave Runners. The problem though is that one is not able to go out and enjoy tow sports by themselves solo. Wake Solo’s product solves that problem without the need for a physical “driver” of the PWC giving one the ability to control the boat from the tow rope itself. “This product is a lot of fun and can be used with any of the major PWC brands,” said Justin Merrill, President of Wake Solo, Inc. The product is being marketed under the trade name “Wake Solo” for about $1,000 suggested retail price. 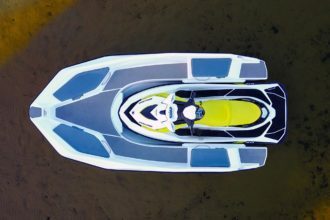 The closest product to Wake Solo is between $7500 and $17,000 and requires an expensive separate boat rather than one’s own PWC. 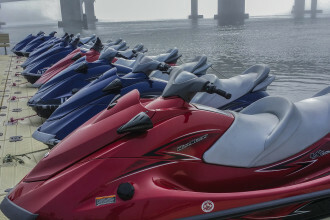 The Personal Watercraft industry is a multi-billion dollar industry. 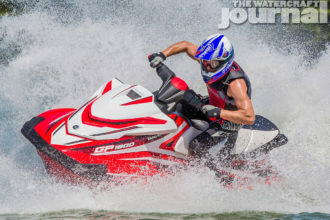 The major PWC brands include Jet Ski, Wave Runner and Sea-Doo and are sold all over the world. The Company is currently testing its second-generation prototype system, and the product is now ready to move into manufacturing and can be pre-ordered starting now. One can learn more and register to win one of the first off the manufacturing line by visiting HERE.